Everyone knows salads are the healthiest things you can eat. They help you to stay healthy, energized and fit. They supply you with vitamins and antioxidants. And, they are easy to make, as fresh salads do not require any cooking. But, what if you need to grate just one half of carrot? Washing and cleaning food processor would only be a waste of time in this case. So, I got a better idea on how to make nice looking, nice tasting and healthy salads and avoid grating. Now I use my potato peeling knife for carrots. I do not only peel carrots with that knife. I also slice them with it. If you do not press hard, you get perfect thin and long slices of carrots. They look much better in you salad, too. There is one con to mention, though. The core of carrots cannot be sliced so easily. So, I just either leave it for the soup I cook, or throw it away. 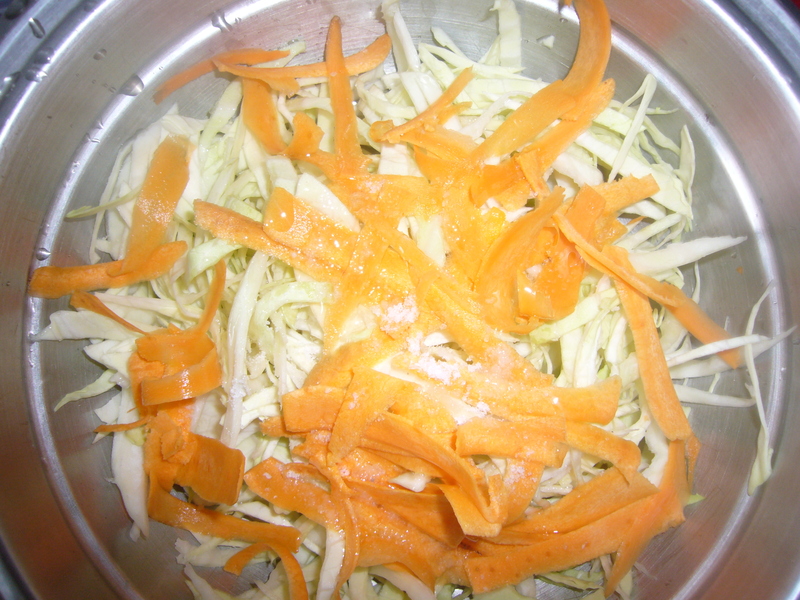 There is another great salad combination, for which you can use potato peeler. If you take purple cabbage and daikon, you get amazingly beautiful and healthy salad. You chop the cabbage with the regular knife. Then you peel daikon and start slicing it with the potato knife. You get long white slices to match your purple cabbage. The match each other just beautifully and look great and dressy. This entry was posted in Easy Recipes and tagged breakfast, breakfast recipe, busy moms, cooking, cooking tips, easy cooking, easy recipe, easy salad, food, healthy, healthy salad, quick recipe, quick salad recipe, salad, salad recipe, tips for moms. Bookmark the permalink.